Hey, it is Brittany again. 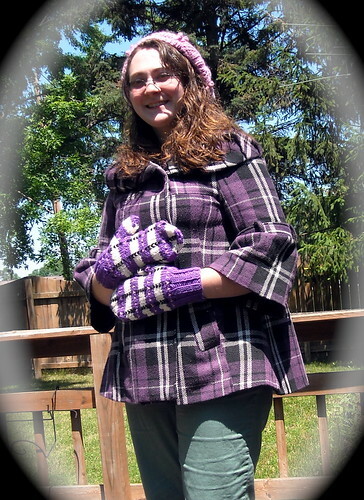 Today I am going to share my Purple Plaid Mittens with all of you. 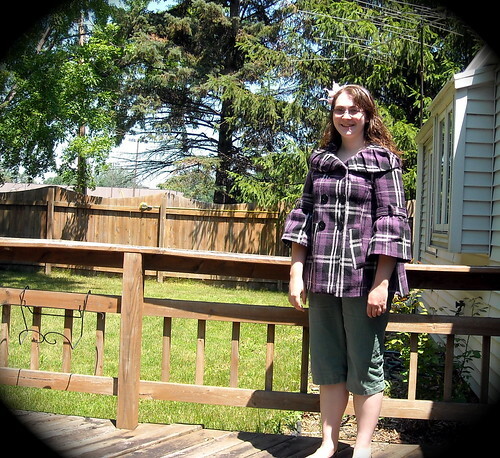 A few years ago, I bought a beautiful purple, black, and white coat from a store in Madison. This coat, pictured below, has received many compliments. I love the unique cut and anyone who knows me, knows I'm a sucker for purple. 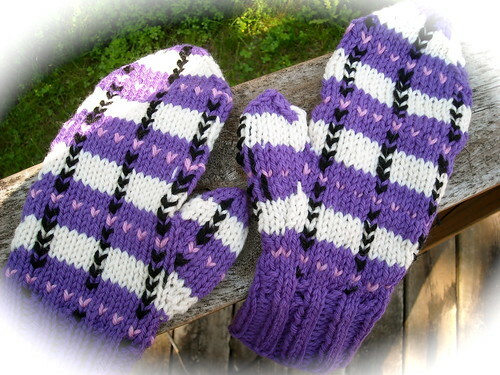 When I found pattern #17, I knew it would be a perfect pattern for matching mittens. This pattern was well-written and easy to follow. The only thing you should keep in mind is it is a bit putzy. You have to knit using three colors and then after you knit the entire mitten you have to go back and duplicate stitch in the fourth color. I made the mistake of duplicate stitching in both the accent colors. One other thing, they wrote this pattern to knit on straight needles. If you haven't noticed, both Em and I dislike ANY pattern that is written for straight needles. 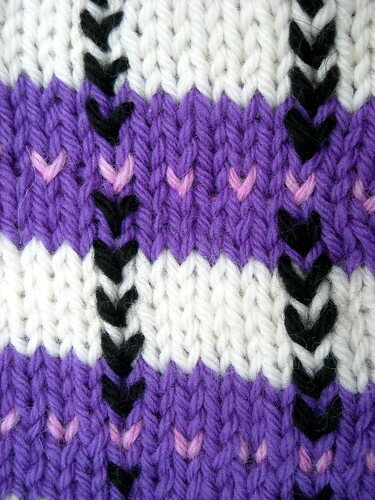 It is just as easy to make them in the round, just follow the color pattern and knit every row around. In the end, I really loved the way these mittens knit up and as you will see they match my coat VERY nicely! I am happy with all the pictures I took of this project and it was hard choosing which ones I shared with all of you. I do have more pictures and you can check them out at my Flickr Account.